The authors of this volume engage contemporary postcolonial theory primarily to articulate a critique of Western Christianity, as it has been practiced for centuries, and to suggest lines for reconstructing evangelical identity and constructive theology in a more inclusive and liberating key. Still, postcolonial theory is not taken for granted without critical pushback. In one particularly intriguing piece, "The Problem and Promise of Praxis in Postcolonial Criticism" (which earns high marks not only for its content but also for the alliteration in the title), Gilberto Lozano and Federico A. Roth interrogate academic postcolonial thought, especially in its impact upon biblical criticism: Is this mode of theoretical inquiry practical for human flourishing? Does it liberate? The authors sharpen such questions by bringing postcolonial theory into dialogue with Paulo Friere's Pedagogy of the Oppressed. My undergraduate degree is in both Bible and Theology, which suits me just fine as a Reformed theologian. Consequently, I like to dip my toes into biblical studies from time to time and—again, as a Reformed theologian—I find myself fascinated by the Tanakh / Hebrew Scriptures / Old(er) Testament. (Regular DET readers will recognize some of these impulses coming to expression in my work with Calvin’s commentary on Malachi.) 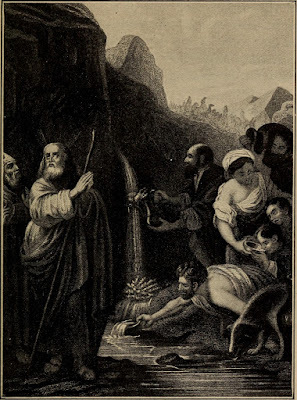 Lately I’ve been reading about the history of Israelite religion, and I have been not only learning a lot but also finding a great deal of theological stimulation. 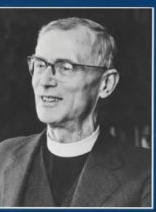 "The definitive work on Barth's doctrine of baptism" - David Congdon reviews my "The Sign of the Gospel"
It has been far too long, gentle readers, since I proclaimed to you the majestic scholarly achievement that is my monograph on Barth's doctrine of baptism. But since I tire of talking about myself very quickly, I thought that I would let my good friend and theological partner in crime carry the torch for a bit. David posted the below on Amazon as a review of my book back in early October of 2014, and I thought that I would share it with those of you who may not have stumbled upon it yet. Everything below the link (points down) is from David (you can compare it to the original if you like). W. Travis McMaken, The Sign of the Gospel: Toward an Evangelical Doctrine of Infant Baptism after Karl Barth (Fortress, 2013). Kent Eilers and Kyle C. Strobel (eds. ), Sanctified By Grace: A Theology of the Christian Life (London: Bloomsbury, 2014). I am pleased to take part in a “blog tour” in support of this volume. Those interested in reading reviews from other bloggers are encouraged to check the index that will be provided at the T & T Clark blog. That’s right, gentle reader, it’s that time again—time to count down the top 10 posts of 2015! I know you’re as excited as that exclamation point proves I am. Our senior contributing author, Scott Jackson, did the honors with last year’s top 10 post. Doing these kinds of posts is fun for me not only to see what posts resonated most with folks, but to give folks a chance to catch things that they may have missed along the way. Before we begin, I need to point out that these are the top 10 posts to the best of my knowledge. It’s hard to discern how many of all the hits that come to the main page should be credited to a particular post then currently on the main page, so I only count hits directly to post pages. I’m a little surprised by this one since it is only a few months old. That means it didn’t have as much time to “soak,” so to speak. But it seems to have resonated with folks. John L. Drury, The Resurrected God: Karl Barth’s Trinitarian Theology of Easter (Minneapolis, MN: Fortress Press, 2014). Aside from the cat dying, we had a very fulsome and joyful Advent and Christmastide. And in even in that major exception, he was old and suffering and it was something of a relief when he finally passed. It was, as pietists of all stripes like to say, "his time." Leave it to a German who survived World War 2 to have helpful things to say in the present political climate in the United States. Jürgen Moltmann, The Living God and the Fullness of Life (WJK, 2015). What Am I Reading? 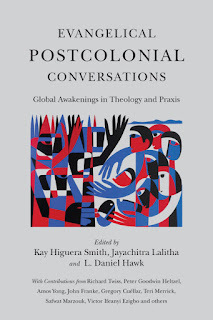 "Evangelical Postcolonial Conversations"
Reading this volume was an awkward experience. No, I'll go further: Reading this book -- as a white, male, North American Protestant theologian -- was sometimes almost devastating. One of the things that has pleased me about how 2015 went here at DET is the revival of our Book Reviews section, and especially the “What Am I Reading?” feature. This is made even more gratifying to me since both Scott Jackson (senior contributing author) and Henry Coates (contributing author) got in on the act as well. So I thought that I would index what we’ve done with this feature over the past year so that you, gentle reader, would have the chance to catch up on anything you might have missed along to way. “Now we count the arrogant happy; evil-doers not only prosper, but when they put God to the test they escape.”  Then those who revered the LORD spoke with one another. The LORD took note and listened, and a book of remembrance was written before him of those who revered the LORD and thought on his name. They shall be mine, says the LORD of hosts, my special possession on the day when I act, and I will spare them as parents spare their children who serve them. We haven’t had one of these posts since the middle of November and, by my reckoning, that’s more like three fortnights… So it’s time to share some links! We took a little bit of a break for the holidays, but we’ll be back going strong on Monday. This is your chance to make sure you’re all caught up before diving in to a new year at DET!